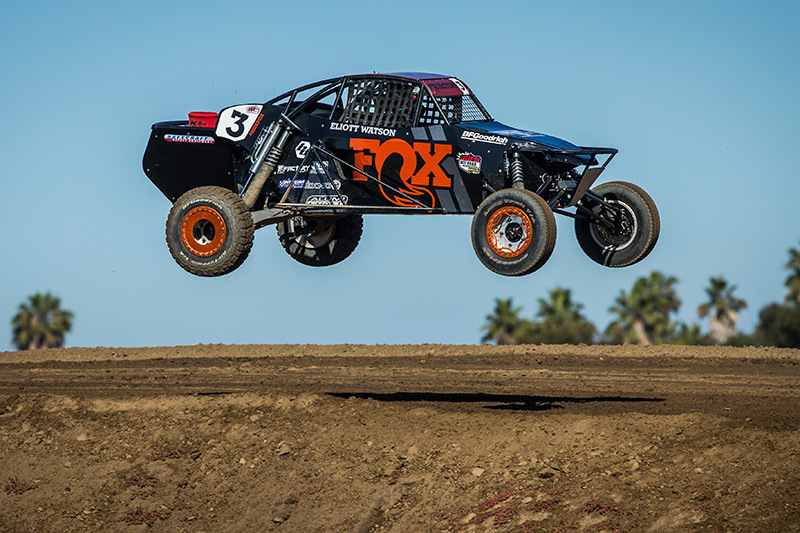 Alumi Craft racers Elliot Watson and defending Pro Buggy class champion Darren “HotSauce” Hardesty Jr. had their own battle going at rounds 3 and 4 of the Lucas Oil Off Road Racing Series in Ensenada, Baja Mexico. 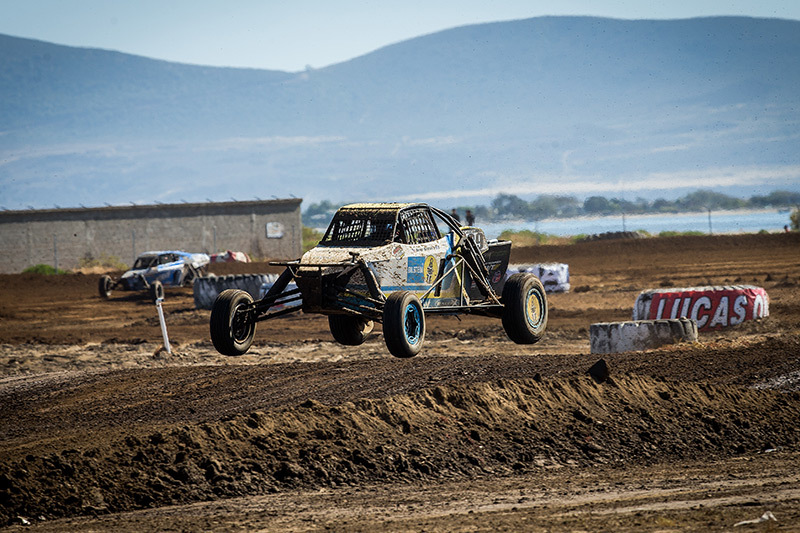 The track in Baja is located in Estero Beach; just steps away from the Pacific Ocean. Due to the proximity to the beach, it’s an awesome place to race, but is also very sandy. The track surface is unique to anything else on the Lucas Oil series and holds several challenges to racers. Typically, the track gets loose and the sand forms deep holes or whoops, the undulating bumps that are found on desert racing courses. 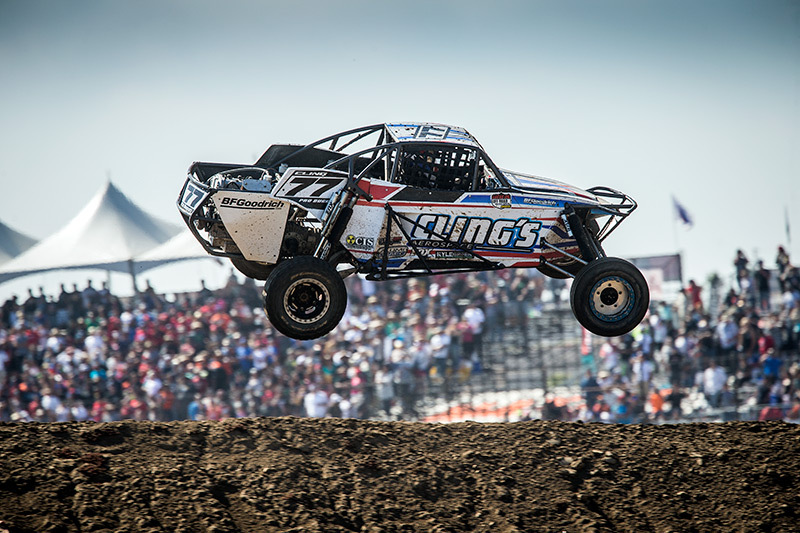 The sand flies off the rear tires of the Pro Buggies and blasts the car and driver, behind. Before round 3, the track crew dumped a ton of water on the track. Instead of getting loose sand, they got mud. Watson and Hardesty were in the lead pack with Hardesty right on Watson’s tail. The mud from Watson’s tires was coming at Hardesty like a fire hose. 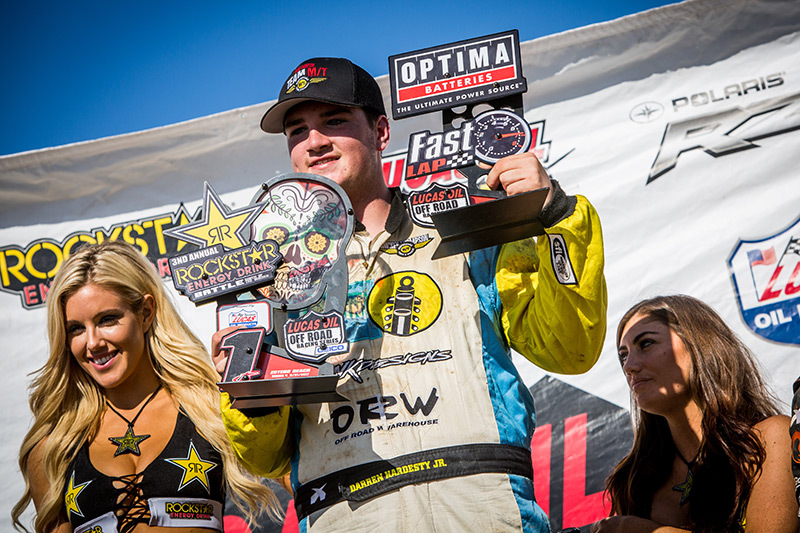 “I ran out of tear-offs for my visor so I had to back off,” said Hardesty, “We had a slight gap on the rest of the field so thankfully; it didn’t cost me any positions. Watson went on to finish on the podium in 2nd. Hardesty was 3rd. In round 4 on Sunday, the two drivers were battling but it was Watson trying to catch Hardesty. The track was quite different from the previous day and Hardesty found it to his liking. He jumped out to an early lead and clicked off a series of lightning fast laps. Watson developed a flat tire and had to duck into the hot pits under caution to change it. His crew got him back out on the lead lap but he was way in the back. While Hardesty had clean air out front, Watson was slicing and dicing through the field. A full course caution for debris bunched up the field and Watson took full advantage on the re-start. He pounced on multiple drivers on the same lap climbing all the way up to 4th place. Alumi Craft racer Sterling Cling had been in 3rd but was displaced; putting him in 4th and Watson in 5th. On the final lap Watson got Cling for 4th, and in an all-out drag race to the line, Watson got past 3rd place by inches at the line. Hardesty had put a big gap on the field; taking the win. Alumi Craft racers prove every weekend the performance, versatility, and superior construction provided by their meticulously crafted cars. 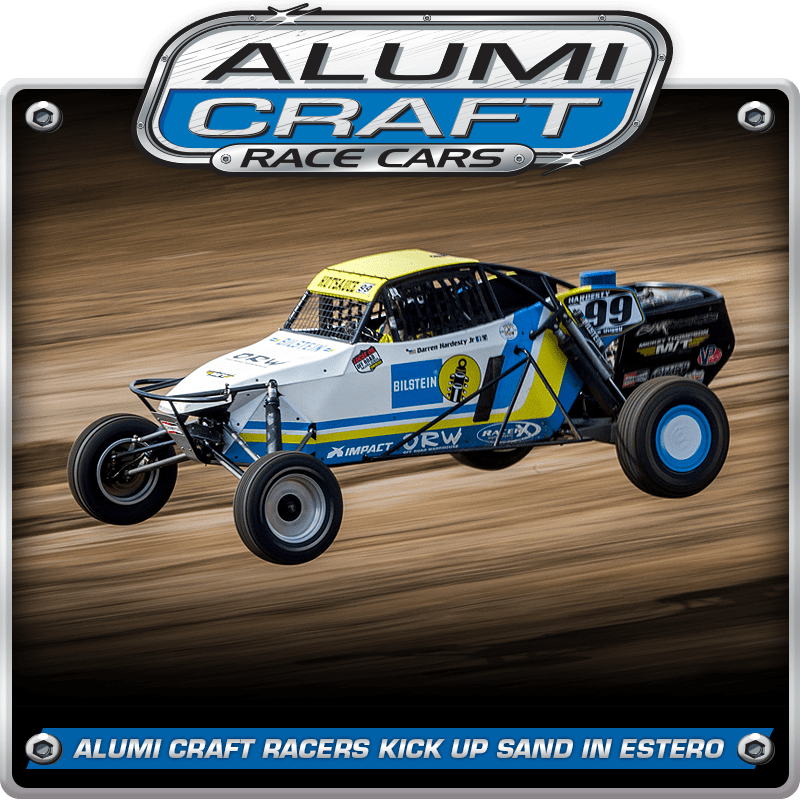 Whether you are racing in the desert, prerunning, or competing on the track, Alumi Craft is committed to providing you with a competitive, safe and reliable vehicle that exceeds your expectations. If you demand the best, give Alumi Craft a call at 619-596-9841.